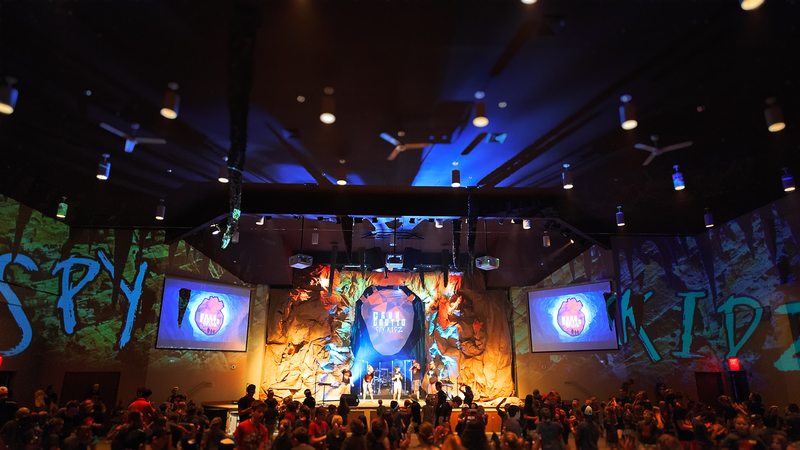 Just had to post an image of the amazing day camp that we do each year at our church. This is SpyKidz 2015: Crux Grotto! Our sanctuary was transformed into an amazing environment of music, dance, video, skits, fun and, the hope of God’s love for over 500 kids!